I have been using my Canon Rebel XTi since 2007 and it has served me quite well. However, it has a few annoyances and it is showing its age. Also, its low-light performance is not particularly good. Since I’m less than halfway through my stay in Japan, I figured it was as good a time as any to get a new camera. Since I had previously bought an EF-S 10-22mm f/3.5-4.5 USM wide-angle lens that has since become my primary lens, I decided to shy away from the full-frame cameras and primarily focus on EF-S compatible models. I just can’t justify the extra cost of the 5D and don’t really have a need for the 3.1 megapixel advantage it has over the 7D. I figured the 7D would get me the most bang for my buck. 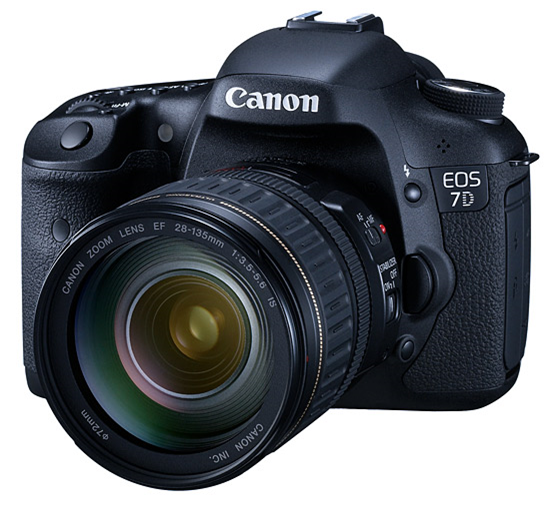 The advantages of the 7D include several very useful features. First, the rear display is of much higher quality. The 7D also has an additional monochrome LCD display on the top for displaying camera settings in a much more efficient manner than turning on the main display all the time. The 7D’s viewfinder also displays a lot more information. As for the sensor itself, the 7D has just about double the resolution while extending the maximum ISO by a factor of 8 to 12800. This doesn’t mean it won’t still be a noise fest at maximum ISO, but it indicates the signal to noise ratio will be much better and thereby decrease the amount of noise at the lower ISO settings. The autofocus on the 7D completely blows away the XTi. The 7D has many more autofocus points and the small selector joystick on the back can be configured for very convenient selection of the autofocus point. The additional AF ON button is very useful for decoupling autofocus from the shutter release button. Finally, the quick menu is very handy for adjusting those couple of somewhat common settings that aren’t adjustable through the smaller display, like AEB. 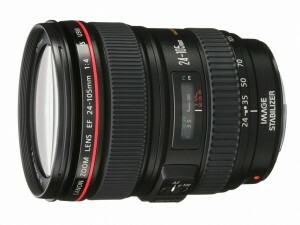 I decided to buy the camera along with the EF 24-105mm f/4L IS USM lens for a couple of reasons. First, the kit lens that came with my rebel was really getting on my nerves. The lens is pretty much completely plastic so it’s very lightweight, but the focusing action is exceedingly annoying (whole front element rotates and wobbles, uses a regular servo instead of an ultrasonic motor) and it’s quite likely to focus on the wrong object. The kit lens I could have gotten with the 7D didn’t look too bad, but it’s a super zoom lens so there would be significant optical compromises to get the zoom range. I also didn’t really like the feel of the lens when I tried it at Yodobashi. 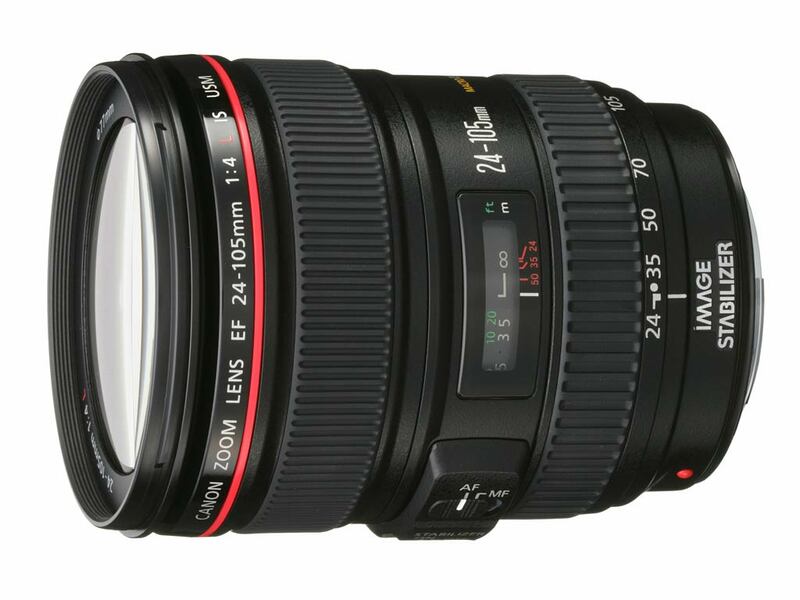 The EF 24-105mm f/4L IS USM lens is a very high quality lens with a very smooth ultrasonic motor driven autofocus that complements the range of the EF-S 10-22mm f/3.5-4.5 USM quite nicely. In addition, the lens by itself has a very practical zoom range. It is an f/4 lens, though, so it’s not ideal for all situations. On the other hand, image stabilization is a very handy feature. After finally figuring out exactly what I wanted to get, I headed over to the Yodobashi Camera by the Sendai station. After working with a salesman to collect the camera, lens, lens protector, and memory cards, it was time to get out the ‘ole plastic and pay for it. Unfortunately, it was rejected somewhere along the line. After making several phone calls and calling over a couple of other employees, it became obvious that the resolution was not within the power of the store and I was forced to go home empty handed. 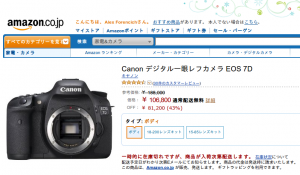 I checked around for some other possible routes of procurement, but the camera body alone seemed to be out of stock everywhere, including amazon.co.jp (一時的に在庫切り ichijiteki ni zaiko kiri = temporarily out of stock). I figured the best thing to do would be to pay with cash, so that night I withdrew as much as I could from a 7-11 ATM. Unfortunately, it wasn’t even half of what I would need. In the morning, I decided to call schwab just in case. I also realized that I didn’t have their Japanese local number on hand, so I called via skype. It turns out that the transaction did indeed get flagged and it was a simple matter to resolve the issue so I could go and complete the purchase. After that, I zipped back over to Yodobashi and promptly bumped into the same sales guy I was working with yesterday. After explaining that I had called the bank and that it should hopefully work now (電話で銀行と話しましたので、今は多分大丈夫ですけど。。。denwa de ginkou to hanashimashita node, ima wa tabun daijoubu desu kedo…), he ran around and collected the same stuff that I had picked out before and we tried again. This time it actually worked and after a phone call to visa to get some sort of authorization code, the purchase was finally completed. And then he committed sacrilege by giving me a 4GB compact flash card and a Nikon branded cleaning kit as a サービス (sabisu, literally service; gift in exchange for patronage or ‘a little something extra’, rather common in Japan). Oh well.